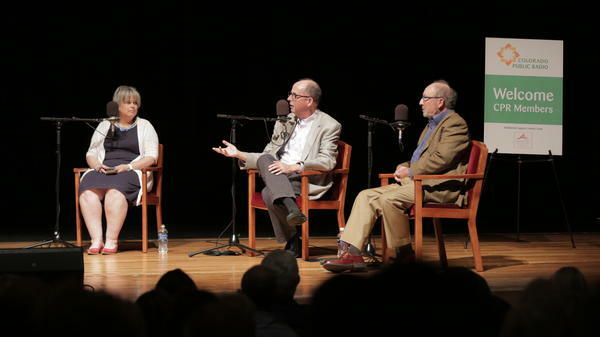 NPR Ombudsman Elizabeth Jensen, NPR Standards and Practices Editor Mark Memmott and Poynter Institute's Bob Steele chat during a panel discussion hosted by Colorado Public Radio. Ryan Warner, Adrian Florido, Kelley Griffin, Elizabeth Jensen, Mark Memmott and Bob Steele talk media ethics at an event hosted by Colorado Public Radio. 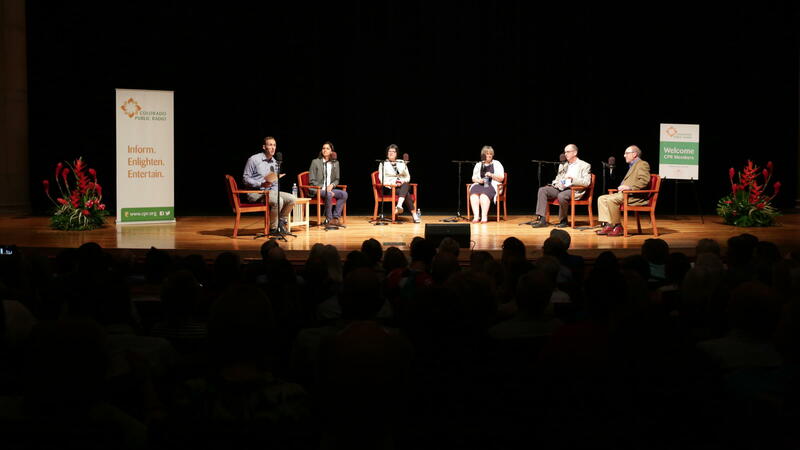 I joined NPR Code Switch reporter Adrian Florido, CPR Vice President of News Kelley Griffin, NPR Standards and Practices Editor Mark Memmott and CPR board member Bob Steele, of the Poynter Institute, in a lively discussion led by Colorado Matters host Ryan Warner. We discussed many of the topics that have come up in recent Ombudsman columns — from the challenges of live interviews when guests offer up misleading or false information, to diversity in the newsroom — as well as some new ones, such as when it is appropriate to offer anonymity to a source being interviewed. Colorado Matters recorded audio from the evening, and fielded questions submitted by audience members after the event. A condensed version of the discussion, and the follow-up questions and answers, can be found here.